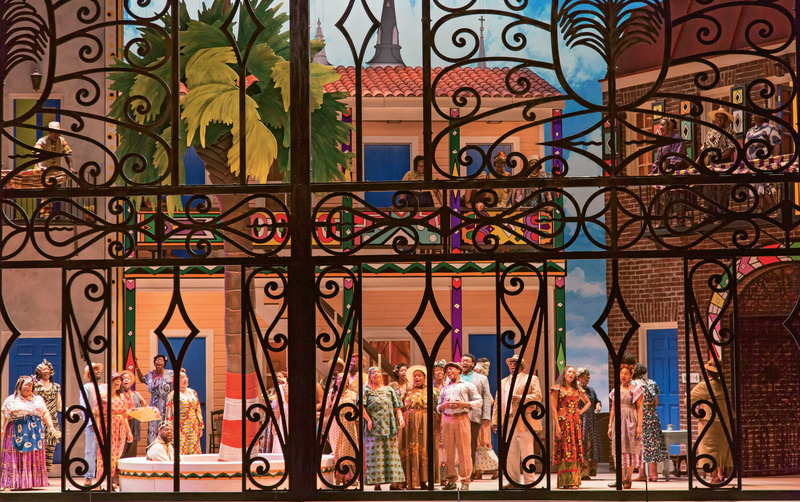 All Set: From story line and score to set design and costumes, Porgy and Bess at the Gaillard Center was a celebration both of the city’s cultural roots and artistic maturity. Rising Tide: Aurora Robson’s installation for “Sea Change,” which transformed plastic debris into art, mesmerized viewers at the Halsey Institute of Contemporary Art last fall. Meanwhile, the Halsey itself, in pushing the edge on contemporary art, has heralded a sea change in local attitudes about art. At the Office of Cultural Affairs, Scott Watson seeks to fill the city with creative inspiration. 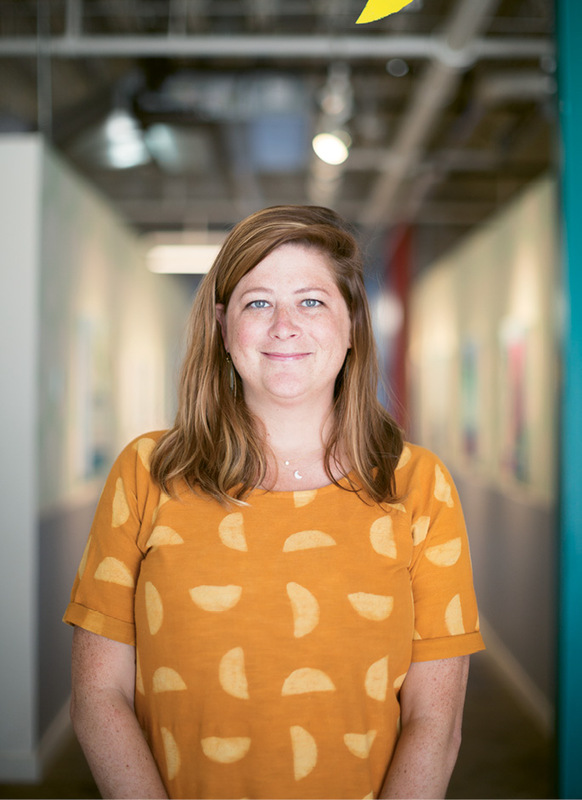 Cara Leepson, executive director of Redux, is excited about opportunities for expanded programming and creative collaboration in the nonprofit’s new King Street facility. 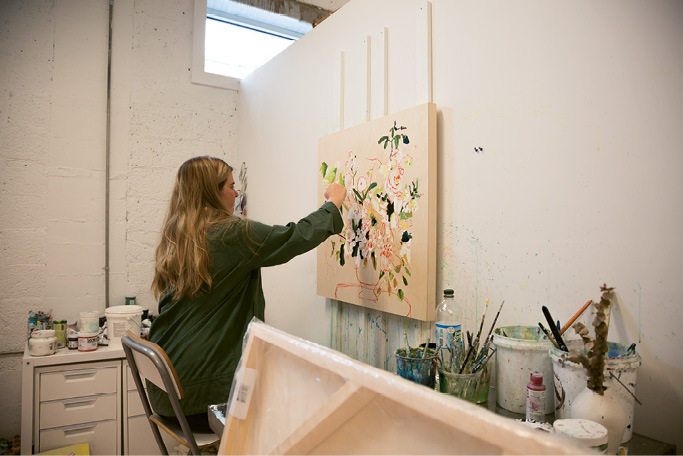 Power in Numbers: As part of its expansion, Redux can offer affordable studio space to more artists, including Kate Hooray Osmond, shown here. The sense of camaraderie and support nurtured among fellow artists is one of many intangible benefits. PURE cofounder and artistic director Sharon Graci is passionate about the power of theater and the arts to change hearts and broaden minds. Going West: Charleston Stage’s new education and performance space in West Ashley will more than double its classroom and program capacity. “Charleston Stage began as a youth theater company 40 years ago; education has always been at our core,” says Marybeth Clark. 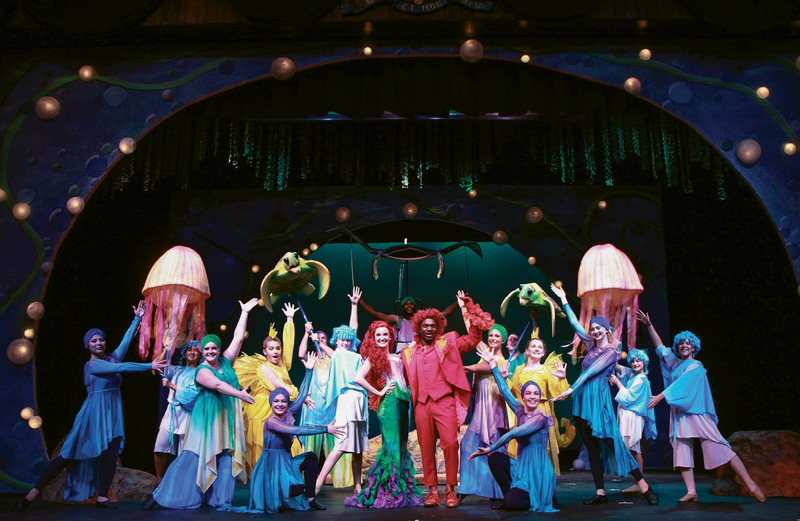 Making Waves: Charleston Stage’s production of Disney’s The Little Mermaid at the Dock Street Theatre; its SummerStage Musical Theatre Camp put on a “junior” version as well. 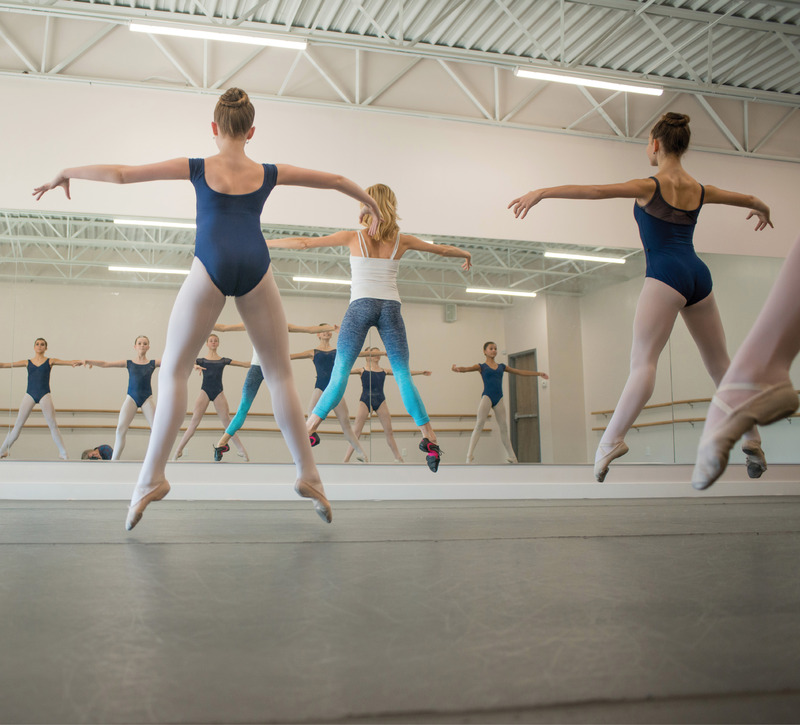 On Point: Students from the Dance Conservatory of Charleston hone their technique in the school’s West Ashley studio. 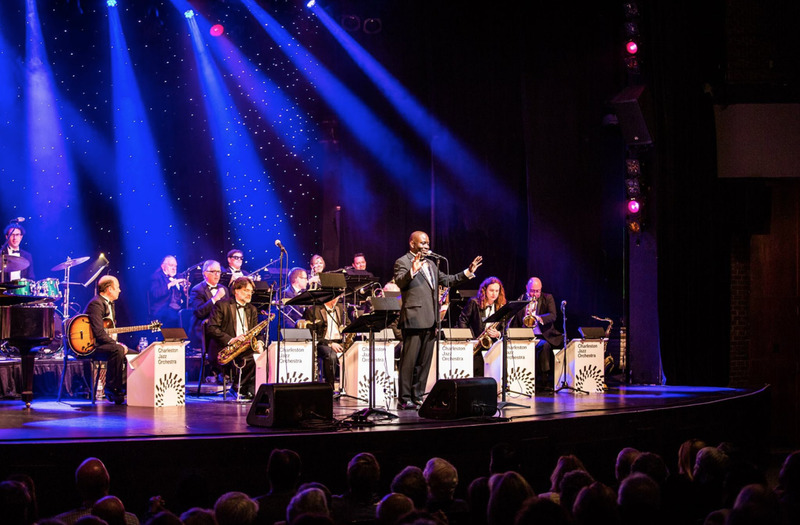 Jazzed Up: Charlton Singleton shown leading the Charleston Jazz Orchestra, and Mary Beth Natarajan, the executive director of Charleston Jazz, have seen steady audience growth for live jazz. 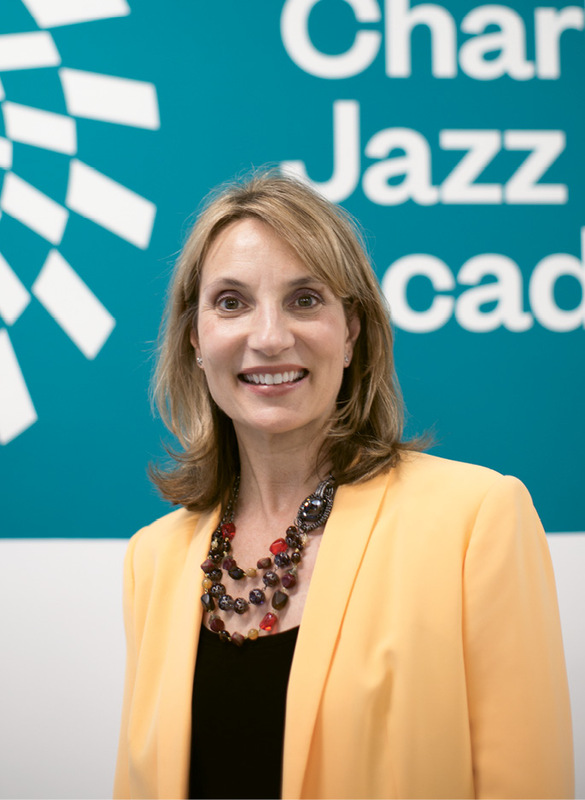 The organization has recently expanded educational offerings through their Charleston Jazz Academy. 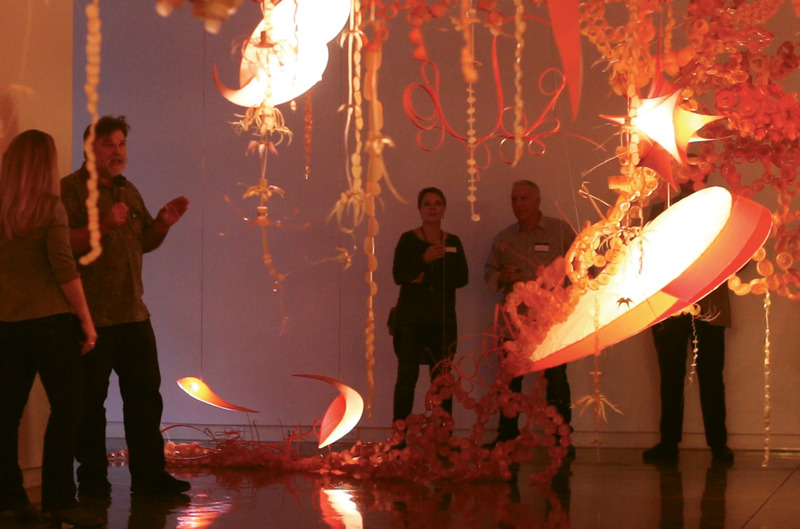 PHOTO:(clockwise from left) As part of their expansion, Redux can offer affordable studio space to more artists, including Kate Hooray Osmond, shown here; Aurora Robson’s installation for “Sea Change,” which transformed plastic debris into art, mesmerized viewers at the Halsey Institute of Contemporary Art last fall; PURE cofounder and artistic director Sharon Graci is passionate about the power of theater and the arts to change hearts and broaden minds. There was a moment when it all coalesced. May 27, 2016: opening night of Spoleto’s Porgy and Bess at the Charleston Gaillard Center. Exuberant costumes in candy-store colors designed by the Lowcountry’s own Jonathan Green; Gershwin’s score, written right here nearly a century ago, roused to melodic brilliance by an orchestra that included some local musicians: a story from our past brought to life in a dazzling new theater heralding a promising future. All headlining the 40th anniversary of a festival that put Charleston on the international cultural map. In many ways, this moment was a culmination of the city’s deep artistic heritage and celebration of its yet untapped potential. Visually intoxicating, musically moving, dramatically compelling, and designed specifically to take place in the totally re-envisioned Gaillard Center—a civic jewel and $142-million public/private investment proclaiming the centrality of the arts within our broader community. It was a spotlight in which the maturity of Charleston’s arts scene seemed luminous. Yet haloed around that shining moment are a thousand points of artistic light dispersed across the region. Any day of any week, all year long, artists across many mediums are creating, teaching, rehearsing, exhibiting, and performing in smaller venues with perhaps less glitz but no less passion for the power of art to inspire, challenge, and uplift the human spirit. Increasingly in Charleston, all the city’s a stage, and not just during Spoleto and Piccolo. 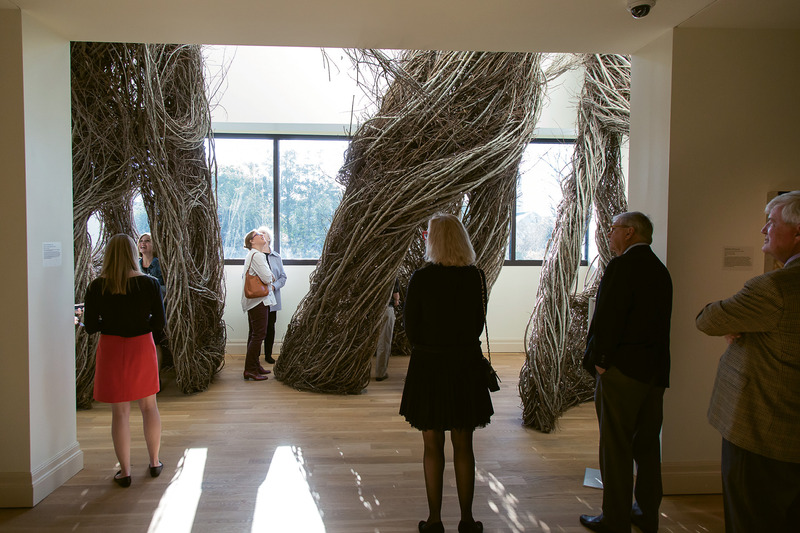 Far beyond the Gaillard Center, studios at the recently renovated and totally re-invigorated Gibbes Museum of Art and at the newly expanded Redux Contemporary Art Center are filled with artists both creating work and teaching students young and old. 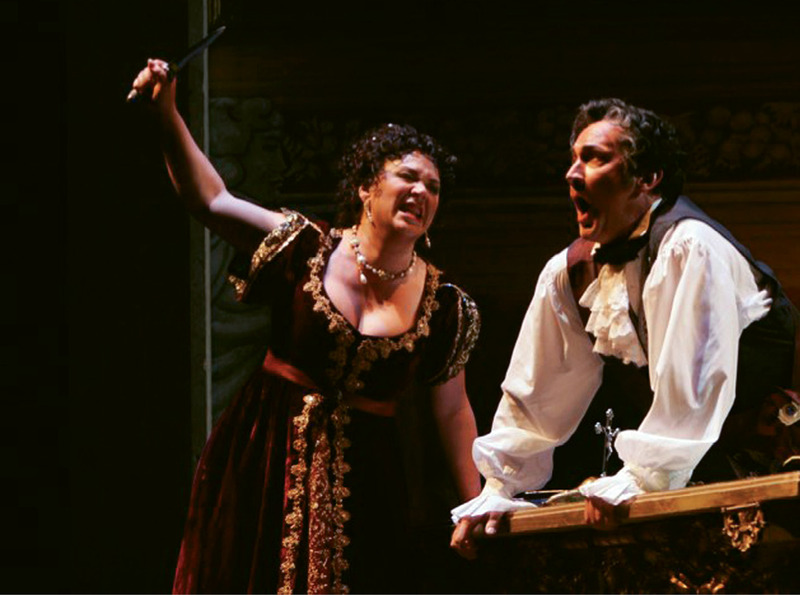 Professional actors are memorizing lines for their next performances at Charleston Stage, PURE Theatre, Midtown Productions, and Woolfe Street Playhouse, among others, while Footlight Players presents shows as the region’s oldest community theater. 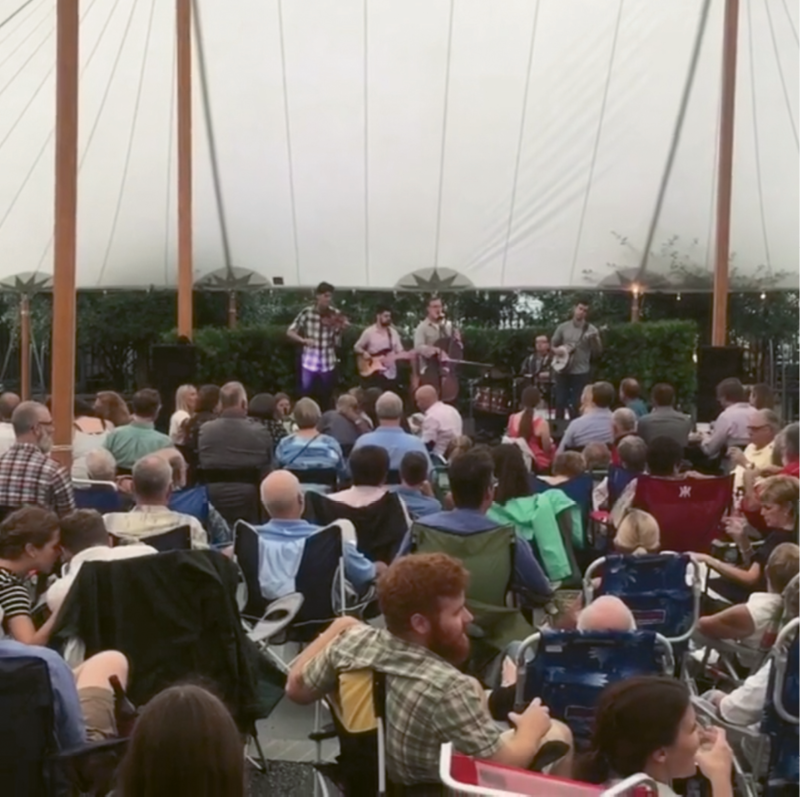 A steady lineup of classical, chamber, jazz, pop, choral, and rock concerts fill venues from Charleston Music Hall to the Gaillard, the Gibbes’ Lenhardt Garden, and the Pour House to churches, coffee shops, and street corners in between. Elsewhere, poets read and dancers dance, and this barely touches the surface. 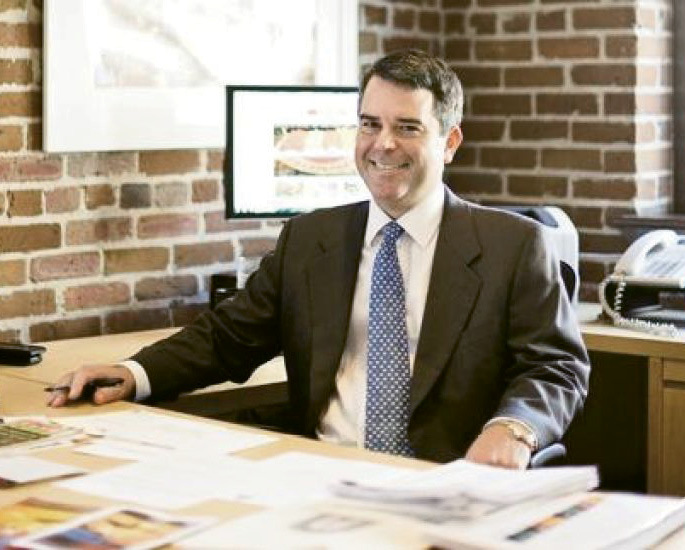 The state of the arts in greater Charleston is thriving, affirms Scott Watson, head of the city’s Office of Cultural Affairs. “The arts imbue every corner of this community, coexisting alongside oyster roasts and wildlife expos. 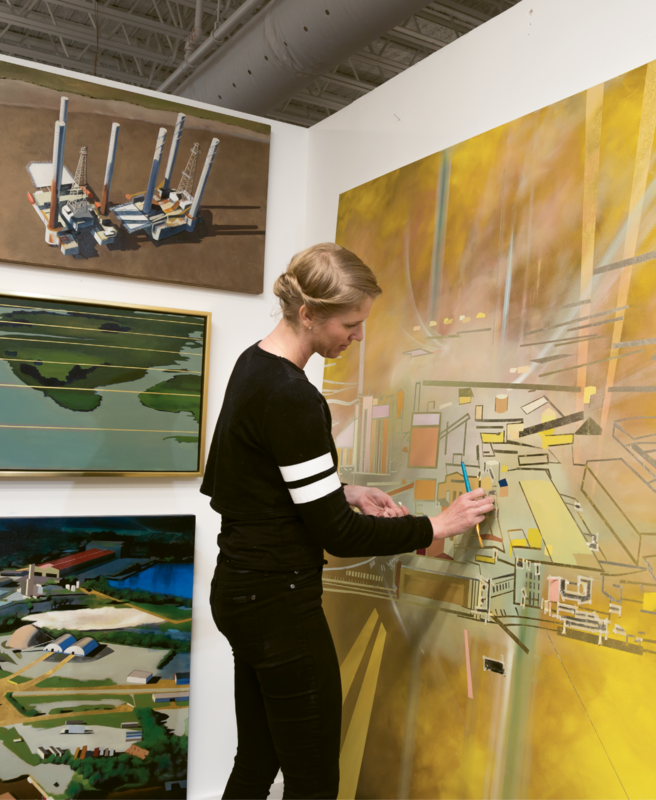 Our artists and arts organizations are highly visible, celebrated, and resilient,” says Watson. And every arts organization leader interviewed for this story echoes his assessment. They report that their audiences as a whole are healthy and growing. The range of exposure of various forms of art presented by artists both emerging and established is more diverse than ever, and becoming even more so. 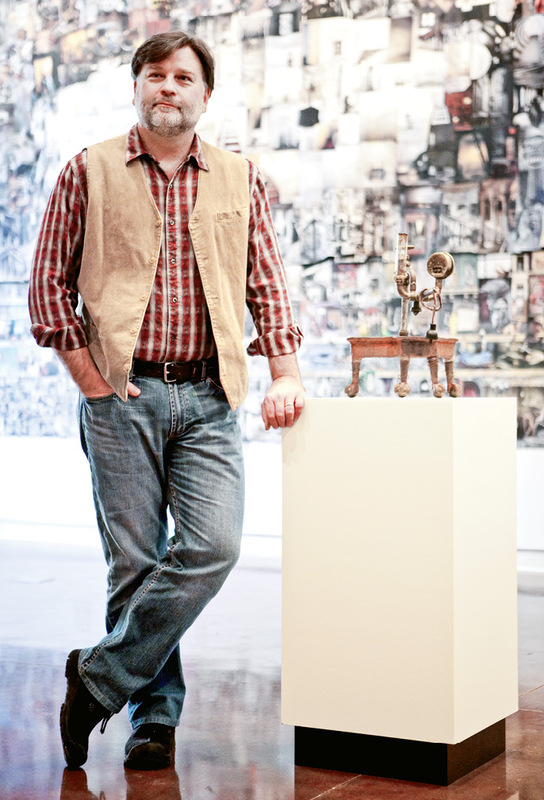 Yet when Mark Sloan moved to Charleston to take the helm of the Halsey Institute of Contemporary Art (then called the Halsey Gallery) nearly 24 years ago, he found a very different cultural landscape. “I’ve seen Charleston change quite dramatically. I sensed almost a hostility to contemporary art when I first got here,” says Sloan, who has worked to educate the community about why contemporary art, especially boundary-pushing work by lesser-known artists, deserves attention. “I believe you have to create your own audience, one person at a time, over time. The key is being sequential and consistent, presenting quality artists time and again whose works are edgy and yet accessible, that challenge people’s perceptions of what art-making is,” he adds. 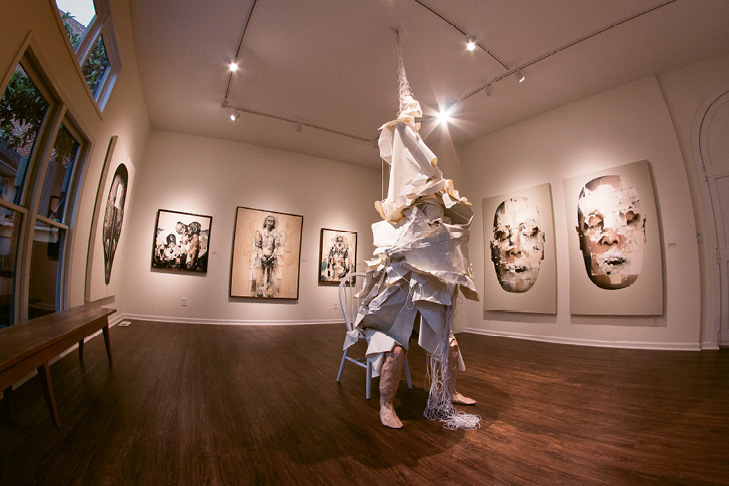 After settling into a new home on Upper King last May, Redux’s work fostering creativity, cultivating contemporary art, and enhancing a multidisciplinary dialogue between artists and audiences has expanded. The new location more than doubles the organization’s previous studio space (now 38 studios, many subsidized to accommodate artists with limited resources) and houses three galleries—one dedicated to exhibiting Redux artists—plus a larger print shop, a classroom, a photo studio, and the city’s only public darkroom. Redux’s classes for youth and adults stay full, and with this growth, Leepson has hired an education outreach coordinator to expand their program to include more classes beyond fine arts (designing with succulents and bike tuning, for example) “to get all kinds of folks engaged,” she says. With their King Street lease now up, PURE Theatre is eager to become the anchor tenant at 134 Cannon Street (formerly Zion-Olivet Presbyterian Church), an ambitious new arts venue underway as a partnership between the City of Charleston and building owner Patterson Smith. The vision is both to invigorate neighborhood life through culture and to provide multidisciplinary, multipurpose space for artists and smaller performing arts groups. “Not every group is looking to fill the Dock Street or Gaillard Center,” notes Scott Watson, whose office will oversee the city’s management of the property. As anchor tenant, PURE would help up-fit the former sanctuary into a theater space, which will be available to other theater groups and dance companies as well. The adjacent education building will be converted into workshops, studios, offices, and other flex space, and a garden will honor the late Herbert DeCosta, Charleston’s foremost African-American architect of the 20th century. Charleston Mayor John Tecklenburg was an early champion of an arts-forward adaptive reuse of Zion-Olivet, which Watson sees as an example of the city “doing what we’ve always done—finding nooks and crannies and doing arts-inspired things in them.” He adds, “Charleston’s cultural landscape is always in flux, so we capitalize on what’s present and continue to work on deficiencies and blind spots.” 134 Cannon Street is an example of what could happen in different neighborhoods, he adds, including “animating spaces like The Schoolhouse in Avondale,” a retrofitted abandoned school and multiuse space developed by John Hagerty and Susan Simons to host concerts, small productions, and exhibits. West Ashley will soon be further “animated” by Charleston Stage’s forthcoming West Ashley Theatre Center, a 10,000-square-foot, $1-million facility on Sam Rittenberg Boulevard that will feature a 127-seat performance space dubbed “The Pearl” (a nod to generous assistance from The Pearlstine Family Fund), as well as rehearsal and dance studios and offices. Though Charleston Stage’s main-stage productions will remain at the Dock Street Theatre, this expanded footprint will accommodate the 40-year-old company’s growing demand for education, “which from Day One has been the core of our mission,” says Marybeth Clark, associate artistic director and director of education. The region’s ever-expanding arts landscape isn’t contained within the peninsula and West Ashley. 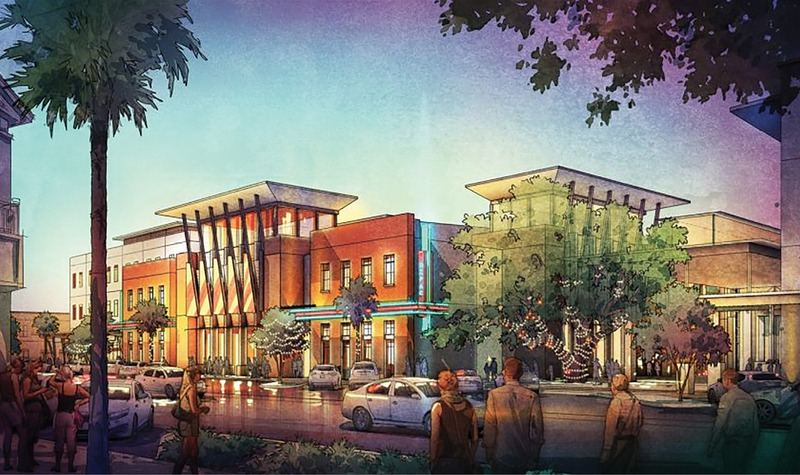 Ambitious plans are underway to build a 600-seat Daniel Island Performing Arts Center (DIPAC) that will serve as a performance and gathering space and center of artistic innovation in the growing City of Charleston/Berkeley County community. 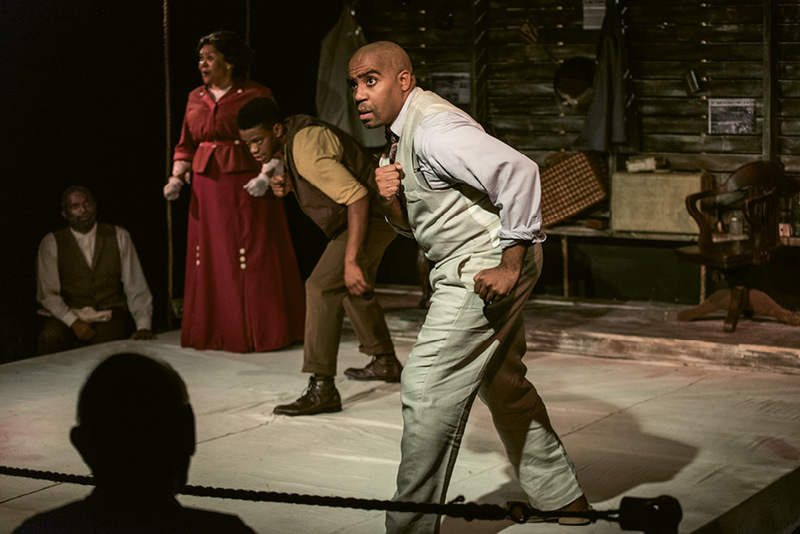 The brainchild of Mary Gould, founder and producer of the South of Broadway Theatre Company based in North Charleston, DIPAC would fill a missing mid-sized theater gap and further “stamp Charleston as an arts destination,” says Betsy Brabham, DIPAC’s director of advancement. The nonprofit’s board has yet to determine the scope of fundraising efforts or a construction time line. 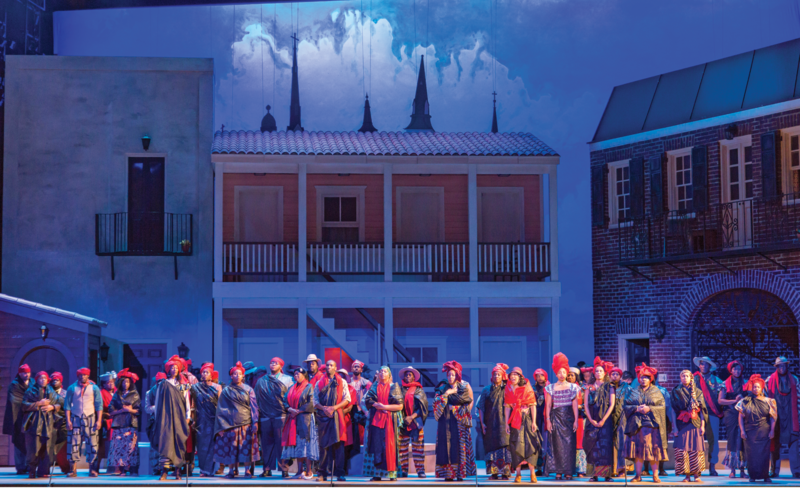 The project and its forthcoming capital campaign will launch with the May 5 benefit performance of Puccini’s Tosca, featuring an all-Metropolitan Opera cast presented in conjunction with the Charleston Symphony Orchestra (CSO) at the Gaillard Center. “We are thrilled to partner with the City of Charleston and the CSO to showcase the level of quality we envision bringing to DIPAC. Our goal is that DIPAC will elevate all local arts organizations,” Brabham says. Though a DIPAC dollar figure has yet to be announced, such an endeavor won’t be inexpensive. Meanwhile, in recent years, arts supporters have ponied up $71 million for the Gaillard (another $71 million came from the City) and $11.5 million for the Gibbes, while Charleston Stage is actively seeking a final $200,000 for the West Ashley Theatre Center and PURE Theatre is launching a “new home campaign” to cover costs associated with up-fitting 134 Cannon—all just for these capital projects, over and above ongoing programs—not to mention the dozens of other organizations also continually seeking donor support. At what point is an ever-expanding arts landscape unsustainable? Or does the collective growth in number and quality of arts opportunities and organizations create a deeper well of support? Sloan is not alone in being told by potential donors, especially large corporations, that they’ve already allotted their charitable arts dollars to the festivals. And he and others are quick to say they are supporters of these events and acknowledge the downstream benefit to their organizations that can come from visiting festivalgoers. “But it’s an unsustainable model for more than 50 percent of local arts funding to go to two 17-day festivals, while those of us here producing art year-round are starved off and left to fend for ourselves,” he adds. 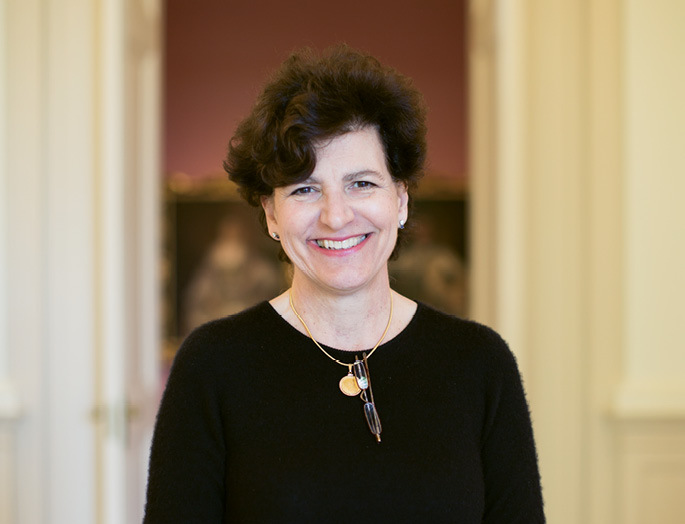 In the spirit of creative collaboration, Marybeth Clark recognizes that part of the funding challenge includes “learning to share and mine the donor base,” she says. “But mostly the need is to find a new donor base. It’s an opportunity for ingenuity as far as growth is concerned. We’re always watching where the new people are, what they are looking for, and what we can offer.” So agrees her friend and creative colleague Sharon Graci, who dismisses a scarcity mentality. Once upon a time, there was the little Pink House on Chalmers Street, one of the city’s first art galleries tucked into one of its oldest and tiniest buildings, a stalwart for decades and home to its share of Rainbow Row watercolors. Today, the Charleston Gallery Association lists 44 members, including The Vendue art hotel, curated by Robert Lange Studios. And this doesn’t include pop-ups and smaller shops or the City Gallery at Waterfront Park. Art enthusiasts will find local and internationally known artists whose work represents every medium and genre. 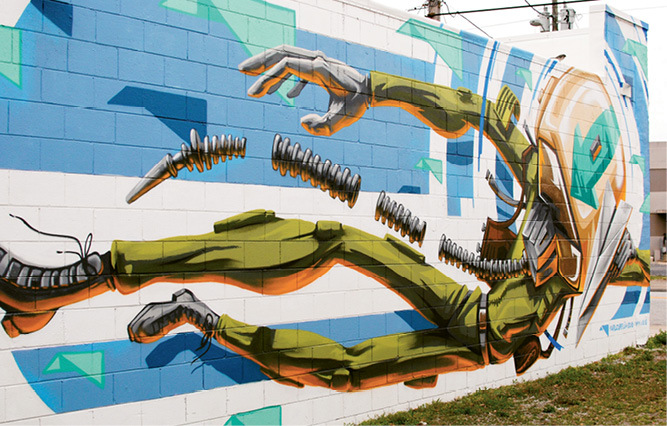 Here’s a look at a few of the newer players in the city’s ever evolving gallery scene. PHOTO: (left) Tua Lingua (1813 Reynolds Ave.) originally opened in 2014 but recently moved into a new and expanded North Charleston location, its exterior enhanced with a mural by Karl Zurfluh. 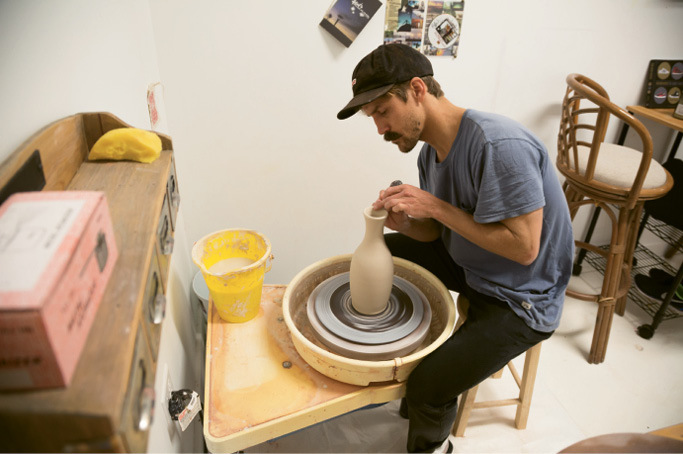 Founder Nathan Petro has created a flexible art and gallery space (think Redux north) where artists can rent studios and use the darkroom and kiln. 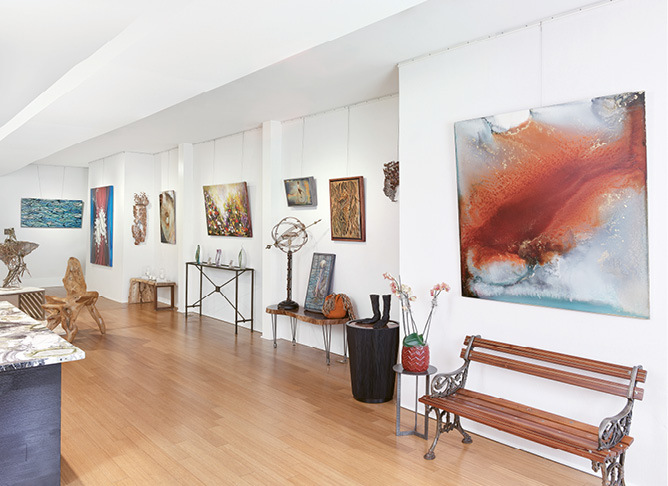 (right) Miller Gallery (149 ½ East Bay St.) features an array of work by 15 local and international artists, including decorative pieces and Naked Eyes jewelry by metalsmith Alex Klaes and Emily Hill. 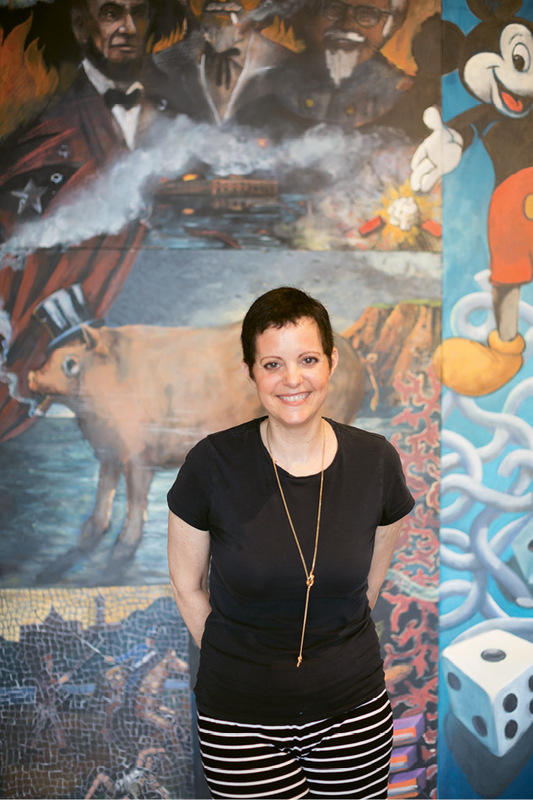 “Our goal is to break down the stigma of ‘stuffiness’ often associated with fine art galleries,” says owner Sarah Miller. PHOTO: (left) Revealed (119-A Church St.) aims to offer a space for creative exchange and connection where contemporary artists working in various mediums, including sculpture, leather work, paintings, and photography, can promote their work. 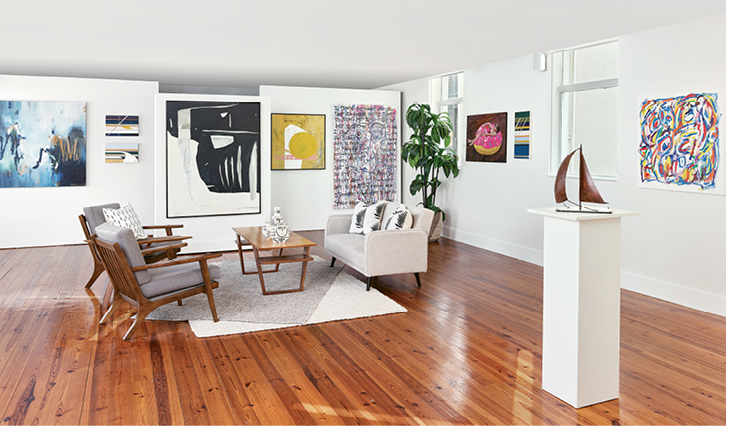 (right) Beresford Studio (20 Fulton St.) presents monthly solo exhibitions of contemporary works by local emerging artists in space that was once the private studio of Corrie McCallum and William Halsey, pioneers of modern art in the South.